what I do for technicians investigate the cpu cooler? You have to call them - they take a VERY VERY long time to answer tickets. Where I found rescue mode ?? Webtorpia servers got a simply buton to rescue mode restart...on SYS admin nowhere find any button or menu like "rescue mode"
The ticket number is found inside your manager. You may wish to inform your clients that you will be performing maintenance on the server, this will allow you to set the server into rescue mode to do the test. 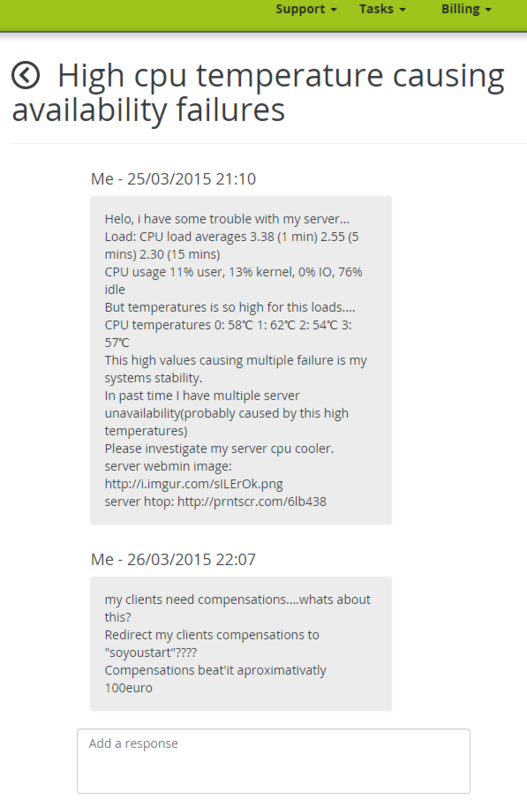 Have you tried to put your server into rescue mode to test the CPU? The rescue mode can test the CPU, RAM, HDD and Bandwidth. can you provide me with your ticket number? This high values causing multiple failure in my systems stability. Please investigate my server cpu cooler.